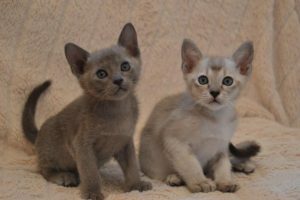 Why choose a Tonkinese cat? 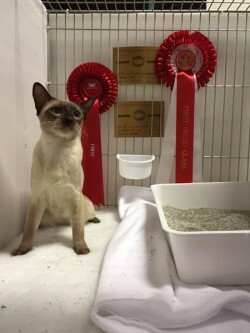 We are promoters and supporters of the Tonkinese breed. 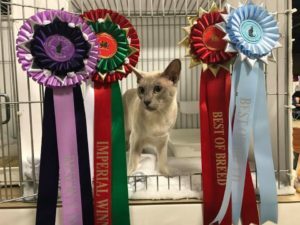 A small family run breeding cattery based in Burnham on Sea, Somerset, we aim to produce Tonkinese cats which are primarily happy and healthy, but also as close as practically possible to the GCCF breed standard. We are not driven by anything other than, a desire to introduce as many people as we can to this enchanting and endearing breed. 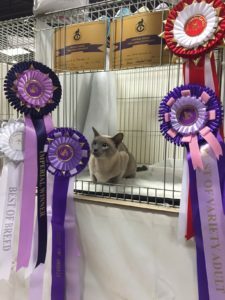 We show our Tonkinese to help aid promote this genetically unique breed, there simply can’t be too many Tonks on the show bench in our opinion. After being bewitched by the nature of this sublime animal, I can not understand how anyone would not be enchanted and fall in love with Tonks from their first encounter. However if your looking for a quiet layabout then the Tonkinese breed are not for you. Tonkinese cats are intelligent, mischievous, talkative animals who need other felines or humans for company. More like dogs than cats, who are sometimes considered reserved or aloof. A Tonk will follow you like a shadow, or take a ride on your shoulder given half a chance. Their nose will be in the book or paper your trying to read because “Why do you need a book Mum when you have me????”. They seek you out and demand their affection – truly they are not your average cat. We pride ourselves on being open and honest, feel free to ask questions and quiz us, we expect it as it is only natural that you would want to know how your kitten has been brought up during it’s first 13 weeks. All our queens are in our home as they are our family and able to be seen. When you meet us you will see that we are hobbists and only breed so that we can develop our bloodlines to benefit the breed, having fluffy kitten bundles is a lovely bi-product of that. Please feel free to explore our site and should you have any queries regarding us, our kittens or the breed in general, please do not hesitate to contact us. 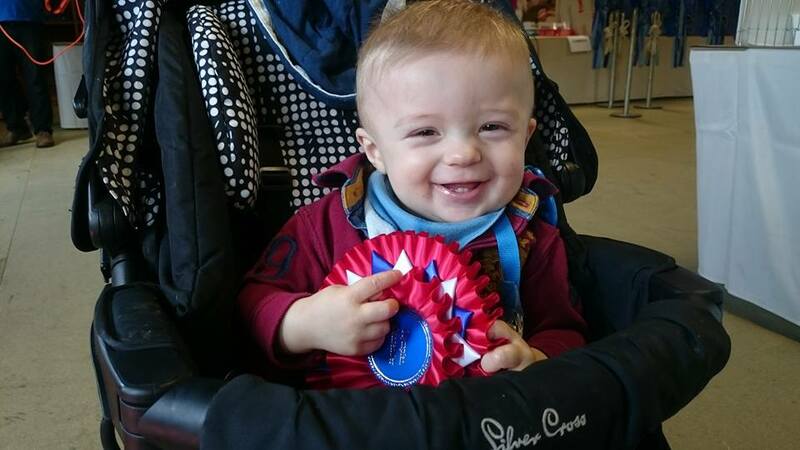 TITANTONKS is our GCCF and TICA registered prefix and we abide by the GCCF code of ethics and are members of the GCCF Breeder Scheme, which promotes responsible breeding. Supported by our local Veterinary Surgeon at Bridge Veterinary Practice, Highbridge.